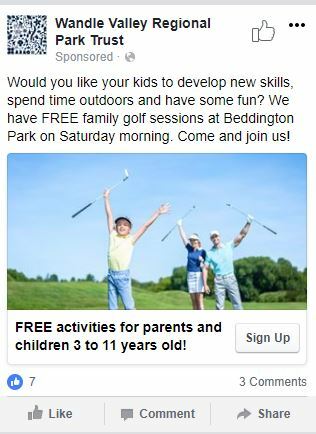 Would you like to know how to engage almost 500 people in different activities? 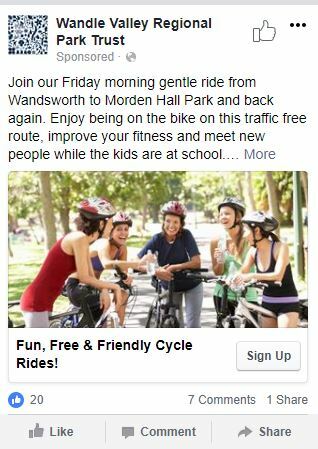 That’s just what happened in Wandle Valley with Facebook Ads. We’ll cover how did we did it, but first, let’s start with some info about the Wandle Valley Park project. The Wandle Valley Regional Park Trust is creating a Regional Park in South London. A place rich in heritage, where people are proud to live, work and play. As well as the Wandle Trail providing ample walking and cycling opportunities there are opportunities to play football, rugby, bowls and tennis in most of the larger parks. The Wandle Valley Regional Park is ironically a legacy of the Industrial Revolution. Its fast-flowing waters powered about 100 miles from Croydon and Carshalton to the Thames at Wandsworth. 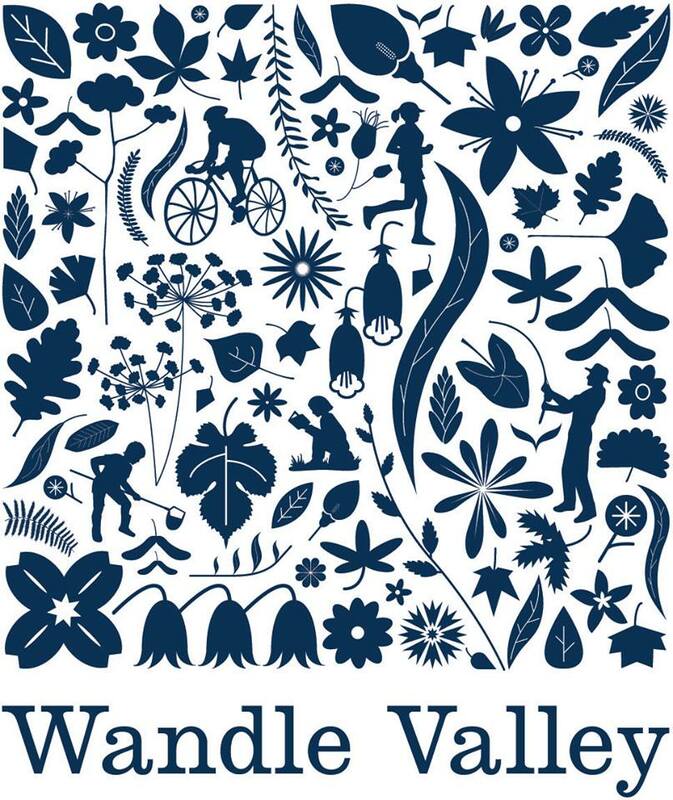 Wandle Valley has various free activities which they are running for residents. They are great activities, but most of them were only half full. 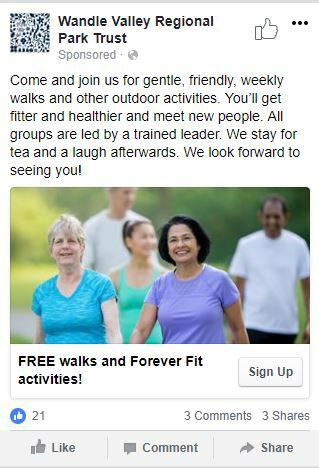 The team there got in touch after they came to our webinar on How to engage inactive people and asked us to set up a Facebook ad campaign for two of their weekly walking groups. At the beginning of the year, we ran a boosted post to promote two of the walking groups. We focused on people over 55 living near Morden. As it was early in the new year people had a strong desire to become more active. We used our standard marketing strategy – the 2-step process. Step 1 is all about driving enquiries and step 2 is following-up. A few weeks ago we’ve covered the 2-step process in more detail, check it out if you want to learn more. For only £67 we managed to reach more than 7400 people and more than 650 engaged with a post. That’s less than 10p per person! Then in March we ran a second ad campaign. Again – our main objective was to fill up two weekly walking groups. 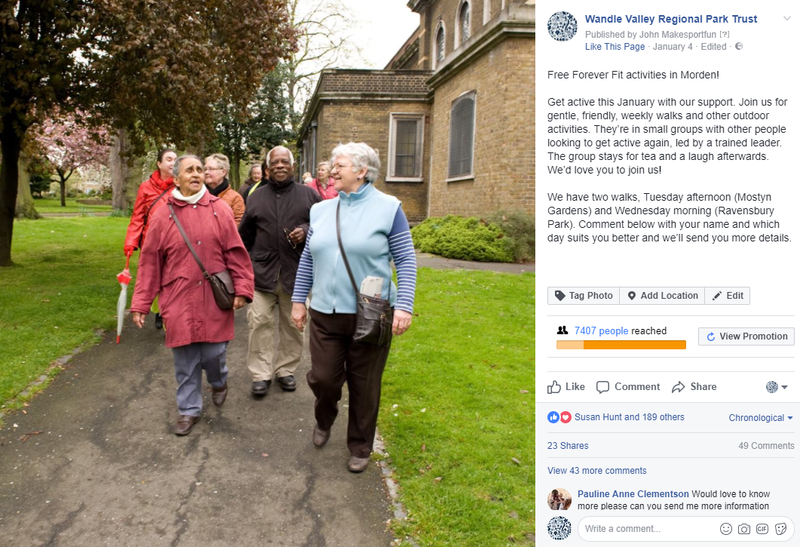 We set up and ran a 30-day Facebook lead ad campaign to promote two walking groups in Morden. It was aimed at women over 50 years of age living within a 3-mile radius of the walks. We got 110 leads in only 30 days! You can read how to do each of these steps here. 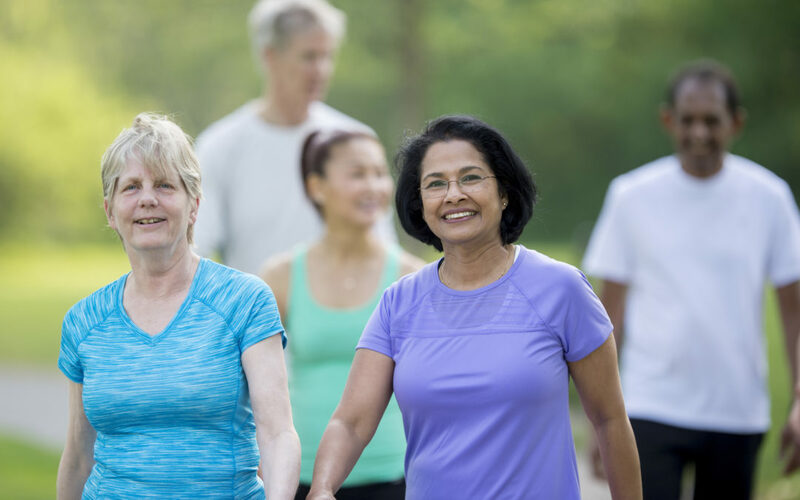 Because of the success of these two campaigns we were then asked to promote other activity sessions Wandle Valley had trouble filling up – Walking Football, Cycling, Running and then Family Golf – mainly focusing on older people and parents with younger kids. More than 45000 people reached. Total budget on ads £923.73. We got 463 overall leads. That’s less than £2 per person!